The James Beard Award–winning author of the best-selling Legends of Texas Barbecue Cookbook and acclaimed documentary photographer O. Rufus Lovett take us on an extraordinary odyssey from Texas to the Carolinas and back to tell the story of Southern barbecue, past, present, and future—complete with more than seventy recipes. 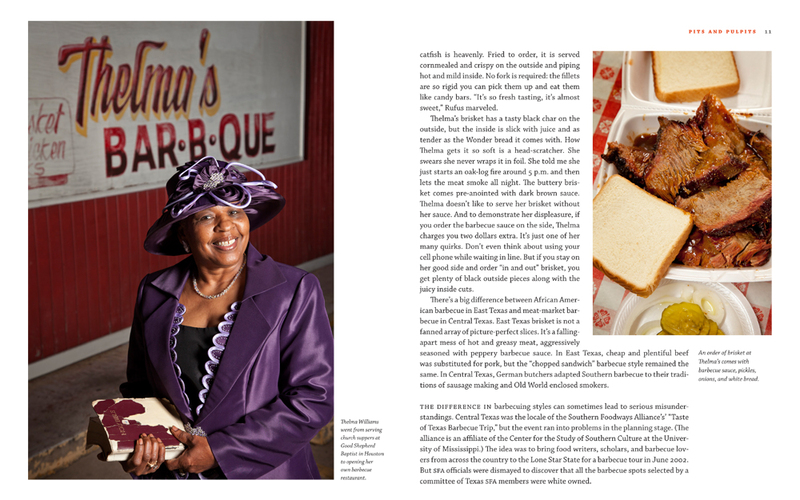 In stories, recipes, and photographs, James Beard Award–winning writer Robb Walsh and acclaimed documentary photographer O. Rufus Lovett take us on a barbecue odyssey from East Texas to the Carolinas and back. 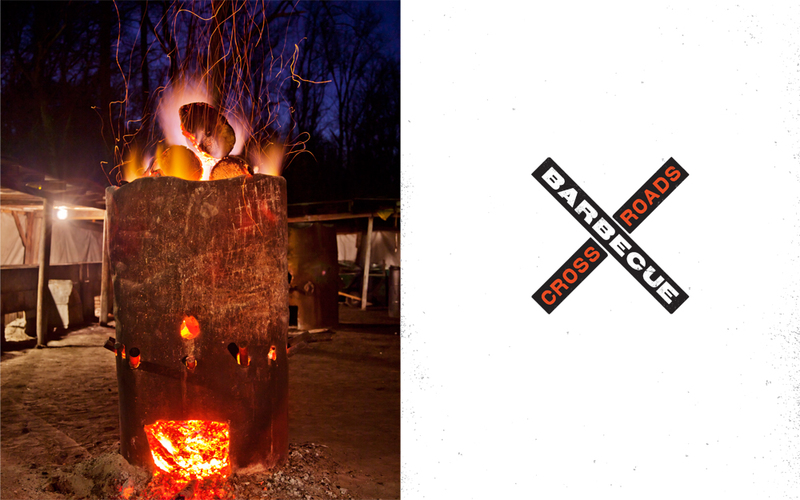 In Barbecue Crossroads , we meet the pitmasters who still use old-fashioned wood-fired pits, and we sample some of their succulent pork shoulders, whole hogs, savory beef, sausage, mutton, and even some barbecued baloney. Recipes for these and the side dishes, sauces, and desserts that come with them are painstakingly recorded and tested. 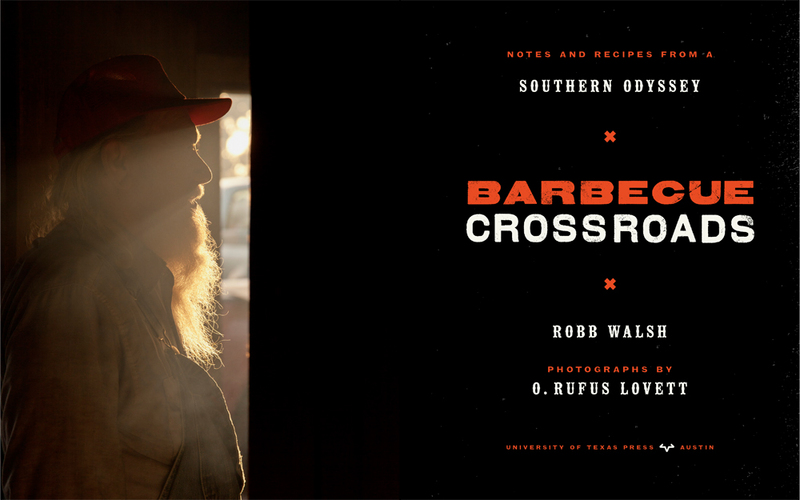 But Barbecue Crossroads is more than a cookbook; it is a trip back to the roots of our oldest artisan food tradition and a look at how Southern culture is changing. 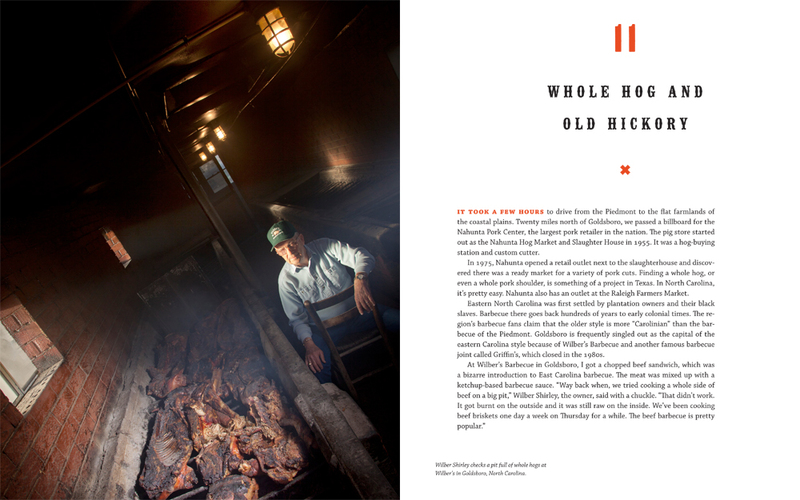 Walsh and Lovett trace the lineage of Southern barbecue backwards through time as they travel across a part of the country where slow-cooked meat has long been part of everyday life. What they find is not one story, but many. They visit legendary joints that don’t live up to their reputations—and discover unknown places that deserve more attention. They tell us why the corporatizing of agriculture is making it difficult for pitmasters to afford hickory wood or find whole hogs that fit on a pit. 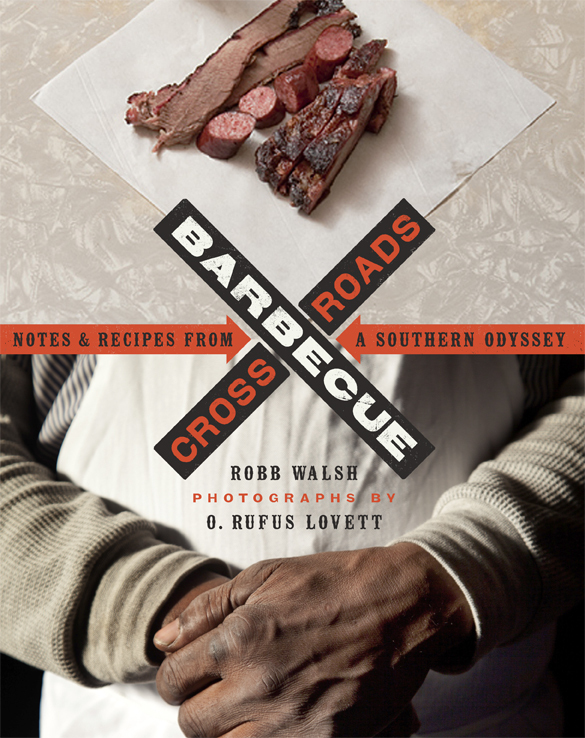 Walsh and Lovett also remind us of myriad ways that race weaves in and out of the barbecue story, from African American cooking techniques and recipes to the tastes of migrant farmworkers who ate their barbecue in meat markets, gas stations, and convenience stores because they weren’t welcome in restaurants. 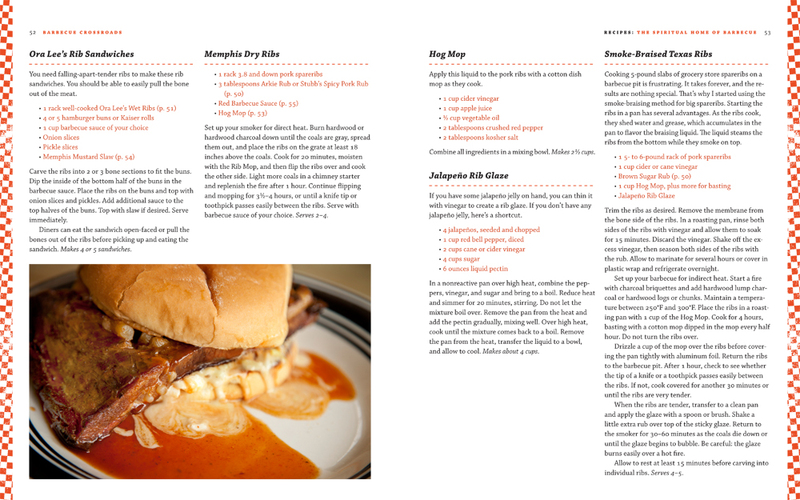 The authors also expose the ways that barbecue competitions and TV shows are undermining traditional barbecue culture. And they predict that the revival of the community barbecue tradition may well be its salvation. Winner of threee James Beard Awards, Robb Walsh is the author of ten books, including Legends of Texas Barbecue Cookbook: Recipes and Recollections from the Pit Bosses , The Tex-Mex Cookbook: A History in Recipes and Photos , and Texas Eats: The New Lone Star Heritage Cookbook, with More Than 200 Recipes . He has written for Gourmet, Saveur, and Fine Cooking, and has also been a commentator on National Public Radio’s Weekend Edition, Sunday . 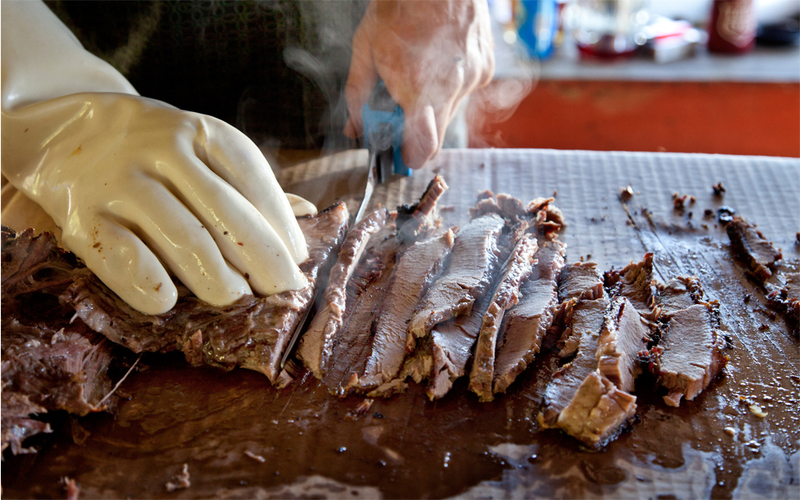 In 2010, Walsh cofounded a nonprofit organization called Foodways Texas to preserve and promote Texas food culture. O. Rufus Lovett is a nationally acclaimed photographer and author of the books Weeping Mary and Kilgore Rangerettes . His work has received recognition from the prestigious Alfred Eisenstaedt Awards for Outstanding Magazine Photography. In addition to teaching photography at Kilgore College, Lovett works as a fine art and editorial photographer. 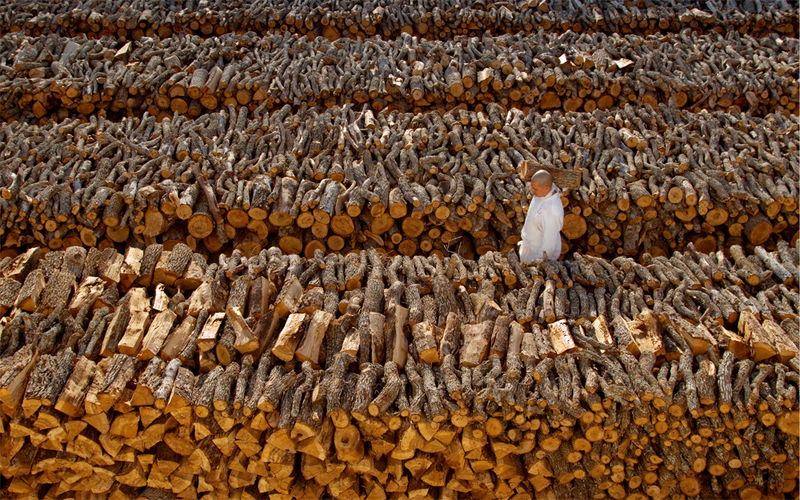 His photo essays have appeared in Texas Monthly , American Photo , Photo Review , LensWork , People , and Gourmet . He has also been profiled in Southern Living .